Wondering what’s in store when we examine your eyes? Well, there’s everything you’d expect. Thorough tests. Professional staff. Heartfelt service. Plus, a little bit more. When you book a Leightons Eye Examination, you can look forward to a service that’s a little bit special. Our stores are equipped with the very latest technology, so you’ll enjoy the most thorough test. We won’t rush you in and out. 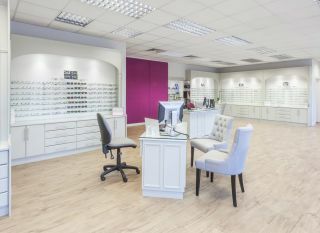 We’ll take time to listen to your needs and understand your lifestyle, so we offer you the kind of personal, individual service you’d expect from your independent optician. Your vision – they’ll decide if any correction is needed. Any signs of cataracts, glaucoma and other eye conditions – thanks to our advanced screening tests, OCT and Optomap, which you can add for extra peace of mind. Other health issues, like diabetes, high blood pressure and vascular disease – your eyes can be the window to your body’s health. Our eye examination normally lasts around 30 minutes. And if you have questions as you go along, feel free to ask our team. 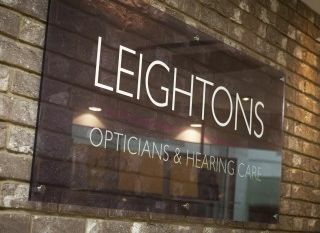 What kind of eye examination can I have at Leightons? The Leightons Eye Examination – this includes free Retinal Photography, which lets us track the health of your eyes over time, and costs just £40. The Leightons Ultimate Eye Examination – as well as Retinal Photography, this includes an OCT scan so we can detect serious eye conditions up to five years earlier than a normal test – it costs just £69. The Leightons Advanced Eye Examination – Available in selected branches, this offers Optomap imaging, as well as a specialist OCT scan and Retinal Photography – it costs just £89. Please see the NHS website for the full list of everyone who may qualify for an NHS sight test. We recommend adding Retinal Photography, OCT and Optomap services to your NHS sight test at a small additional cost. Just to let you know, we’re delighted to offer anyone over 18 a free hearing assessment for a complete hearing health check too. You can book an appointment online, call us on 0800 40 20 20 or visit your local branch.